The newest helicopters for Icelandic Coast Guard look identically as previous. The main differences are hidden from eyes under shiny metal. Flugblogger has looked inside and found out what Icelandic coast guard has received. “You can hear her”, we were standing together with Icelandic Coast Guard information officer Ásgeir Erlendsson near the hangar 2 in Reykjavik capital airport. Over our heads echoed the roar of two turboshaft engines Turbomeca Makila 2A1, 2300 horsepower each. The sound that you cannot confuse with anything. Minutes before we were watching the flight of TF-EIR on the screen of a laptop, where her position was marked via satellite signal. 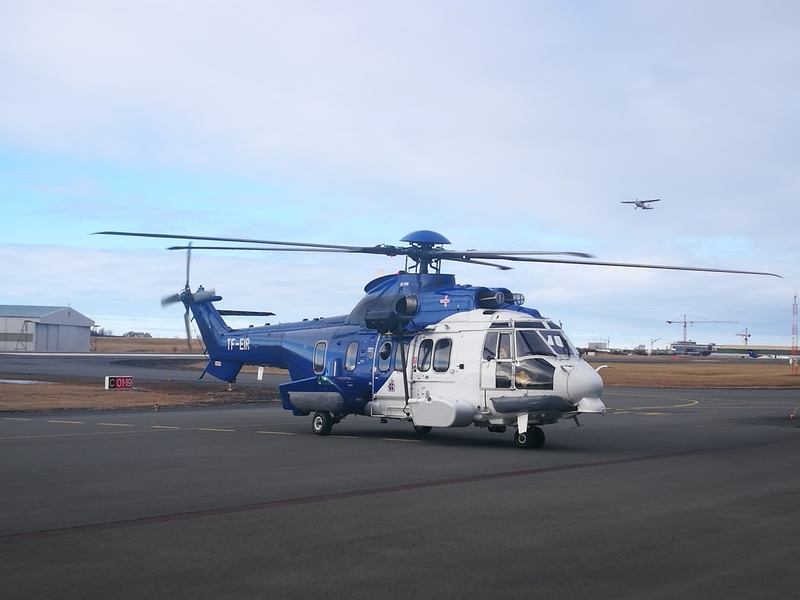 The roaring helicopter with a tail registration including the name of old Nordic valkyrie Eir, associated with medical skills, had descended to the threshold of runway 31 in Reykjavik capital airport. Then she had to hover for a while, giving the way to flight school aircraft, performing their touch & go’s at runway 19. Finally, the helicopter gently touches the concrete and taxi towards Icelandic Coast Guard hangar. “It took us 8 hours of flying”, the Norwegian pilot Frode Moi, who performed the delivery flight together with his colleague Steinar Haugen and Icelandic Coast Guard aircraft engineer Sigurjón Sigurgeirsson, told Flugblogger after disembarking the helicopter. According to Frode, the trip was without issues and with two stops for a refuel in Sumburgh, Scotland and Vagar, Faroe Islands. The weather was good on the way, and good tailwind across the ocean helped them to make the trip faster. There are two Airbus H225LP are expected in Icelandic coast guard this month. After TF-EIR the people in hangar 2 are waiting for TF-GRO. These two aircraft will change Aérospatiale AS.332L1 “Super Puma” TF-GNA and TF-SYN, which were leased from Norway before. 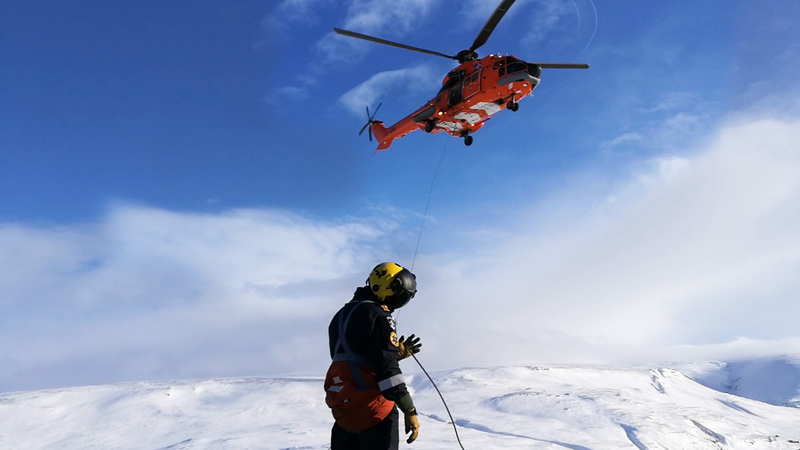 Before coming to Iceland TF-EIR and TF-GRO (name of old Norse shaman Gróa, shaping the future) were on duty for search and rescue in Hammerfest in the north of Norway, with tail registrations LN-ONF (msn 2750) and LN-ONG (msn 2755) respectively. Each of them is under 3000 airframe hours. 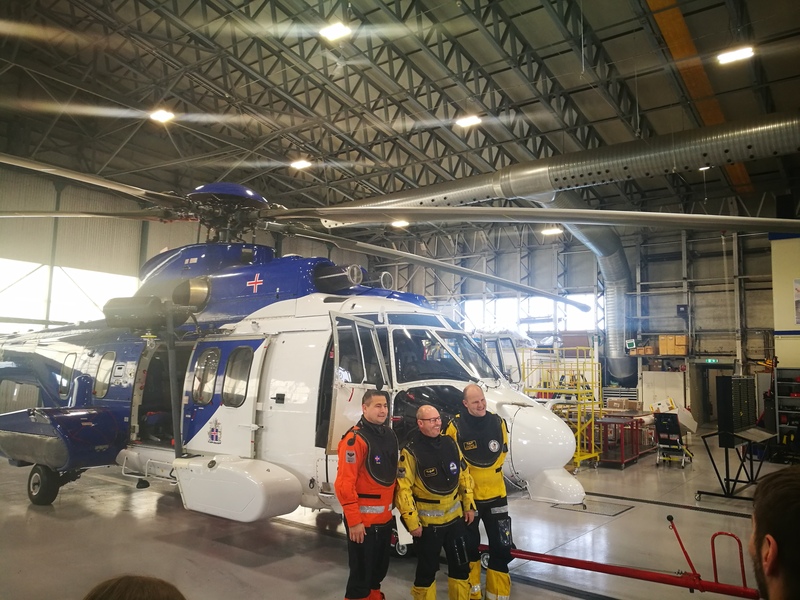 The Icelandic Coast Guard’s chief pilot Sigurdur Heiðar Wiium told Flugblogger, the new leased helicopters are slightly heavier, more technical, bigger, longer-range, faster-speeding and more powerful than the helicopters the Coast Guard has used in recent years. But the main difference is inside their navigation equipment, allowing them now to perform LPV approaches. This type of approach does not require any ground-based navigation equipment in airports. 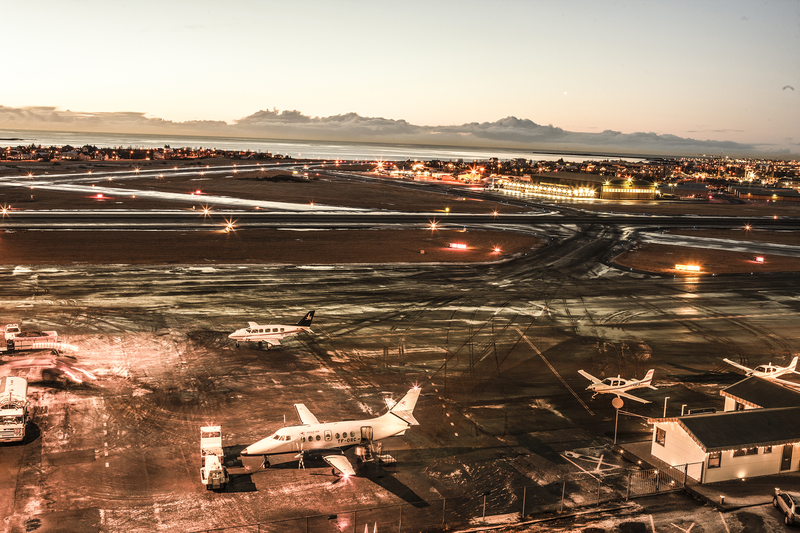 There was a discussion between state, Isavia and airlines last year when the government had decided not to renovate old fashioned ground equipment for the instrumental approach in the small northern Icelandic airports. Instead of it, they want to implement satellite-based navigation approach, which will give a significant cost cut. Among the issues, Flugblogger found out, some domestic airlines and Icelandic coast guard had to invest a significant amount of money to upgrade their aircrafts to be able to use these satellite-based navigation approaches. It was said, that just one aircraft upgrade could cost around 30 mln ISK. 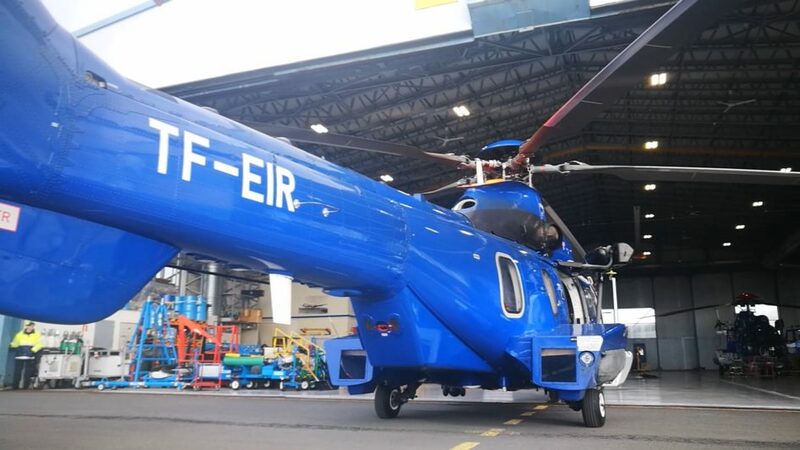 Sigurdur Heiðar Wiium told Flugblogger, although LPV it is not available in Iceland yet, their owned Aérospatiale AS.332L1 TF-LIF is ready for it. “Due to a maintenance issue, failure of one equipment on our L1, we placed that FMS system, which has satellite-based navigation capabilities. Although, LPV is not available for anyone in Iceland yet. It has been established in Husavik, but it is not ready. Might be it will not happen for a few years”. However, according to Head of Technical Services ANS at Isavia Brandur Guðmundsson, it is a question of weeks, not months. 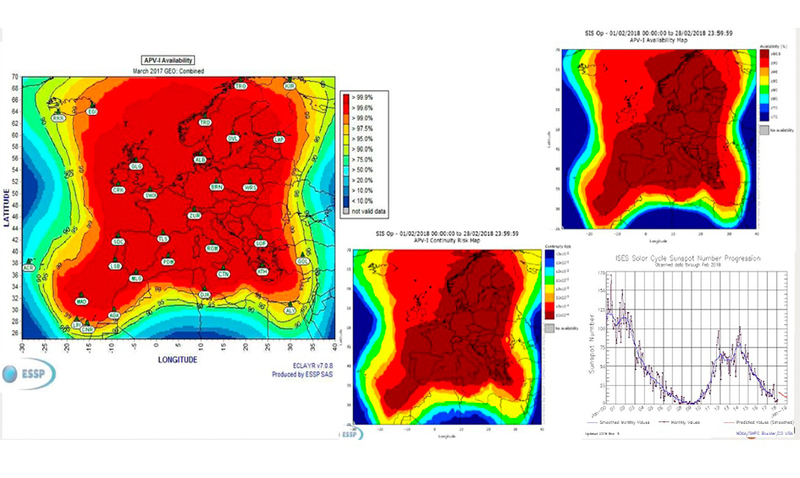 He told Flugblogger, that first APV-I approaches (one of the types of LPV) in Iceland might be available in April already. In the end, this satellite-based navigation approach will allow ICG and other aircraft to approach the small airport in the north of Iceland even under instrumental weather conditions. While waiting, Icelandic coast guard crew must go through retraining process under the watch of Airbus experts. Due to this, the TF-EIR is not expected to be on duty until May.